VINCA’s dedication to new product research and development has resulted into VINCA’s ever-innovative range of stylish, long lasting and high quality products. VINCA’s energy efficient product range is the leading design in the industry. VINCA’s uPVC profiles are based on European design standards, and will ft a worldwide range of window and door hardware to further enhance your property’s security. VINCA’s range is the choice of installation for residential, commercial and industrial building, why not you? We offer a spectrum range of plain colours and woodgrain finishing choices to suit all tastes with your type of house and facade design. 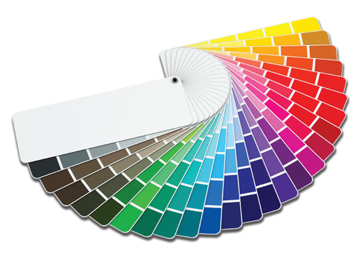 Choose between more than 200 attractive colours for your facade to your heart's content.